To keep the kids you nanny learning this summer, try some of these fun and educational activities that will be a blast for everyone involved! If it’s possible at the house where you nanny, start a garden with the kids! Plant an array of different flowers, fruits and vegetables. 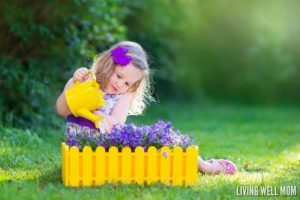 They will learn so much watching everything grow, so make it a daily activity to go outside and water the garden. Start a gardening journal where the children can write down their observations and look back on the progress of the garden. They can even take pictures or draw what the plants look like to document it all. When you all need a break to just relax after a long day full of fun activities, keep the learning going with educational homeschool movies and shows. Learning with a movie is always fun, so watch a history documentary or science movie to keep their brains stimulated. 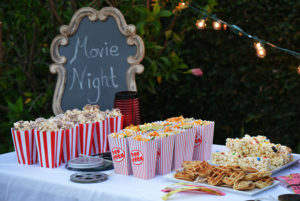 It’s a win-win situation because they get to watch movies and you get to make sure you’re teaching them something to keep them on track for the next school year. If you want to enjoy the fresh air while watching educational videos, bring a tablet outside and sit in lawn chairs or use a projector and a white sheet so everyone can enjoy! There is no better way to teach fractions than in the kitchen when baking something delicious! Cook with the kids you nanny to prepare their meals so it’s something you can do together and have a math cooking lesson. Instead of measuring everything out in advance for them, have them use the measuring cups to learn for themselves! If their math is really advanced, practice adding fractions by making a double batch of the recipe to see how their skills hold up. The best part is–you get to eat whatever yummy treat you made afterward! The best way to keep your nannied kids learning this summer is to let them use their hands, and science experiments are perfect for that! You don’t have to stay inside the box and make a typical volcano like you would for a science fair. 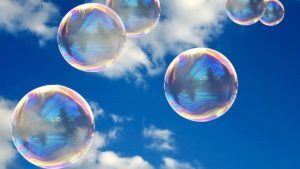 Have them make their own bubble solution. It will be fun to make and even more of a blast when they get to run around the backyard blowing bubbles all afternoon. Nothing is off-limits, and don’t worry about making a mess, just take the fun outside! Keeping the kids you nanny busy this summer might be a task, but when you keep their brains moving as much as their bodies, you shouldn’t have a problem! You want to make their summer break worthwhile, so have fun while learning all you can with them. 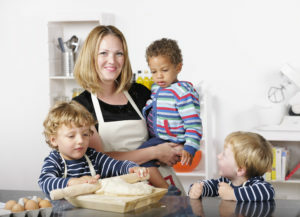 What are your ideas for helping your kids learn while you nanny this summer?